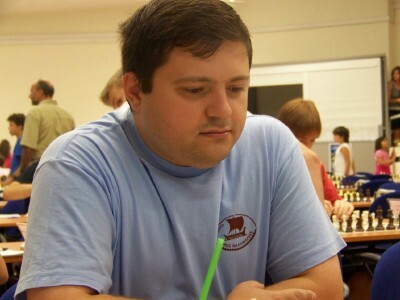 The rating favorite GM Mikheil Mchedlishvili leads the men section of the Georgian chess championship after 8 rounds. Mchedlishvili started the event with three draws against GM Arutinian, GM Pantsulaia, and Nigalidze and later gained speed with important victories against GM	Shanava and IM	Benidze. However, his title is not guaranteed as there are many rounds to the end and the opposition is close behind. The experienced IM Lomineishvili is leading the women section of the Georgia championship. She gained 6,0/8 without losing a single game. The strong junior WFM Nazi Paikidze is only half a point away with a very strong performance. There are 4 players with 4,5/8 that can enter the medal race as well. GM	Nona Gaprindashvili is not having a good event and has gained only 2,5 points from 8 rounds.